We hope to build a wonder of modern, computer generated sculpture - a mathematically generated, geometric mushroom that synthesizes the complex and organic. It will be a wood, steel, potentially glass and paper mushroom. Depending on funding, we're considering a size in the ballpark of approximately 25' tall and almost 40' around. It will glow at night, having lanterns suspended from the gills of the mushroom as well as lighting inside the structure making it glow from within. The stalk of our mushroom will be made from wood and steel. There will be an enclosed area inside and a large area under the cap that will provide daytime shade. The cap will be made from a series of hexagonal and pentagonal shapes that are all hinged together and hung from the stalk (which extends all the way to the top of the cap). The gills will be made from wood and allow for light to shine through. 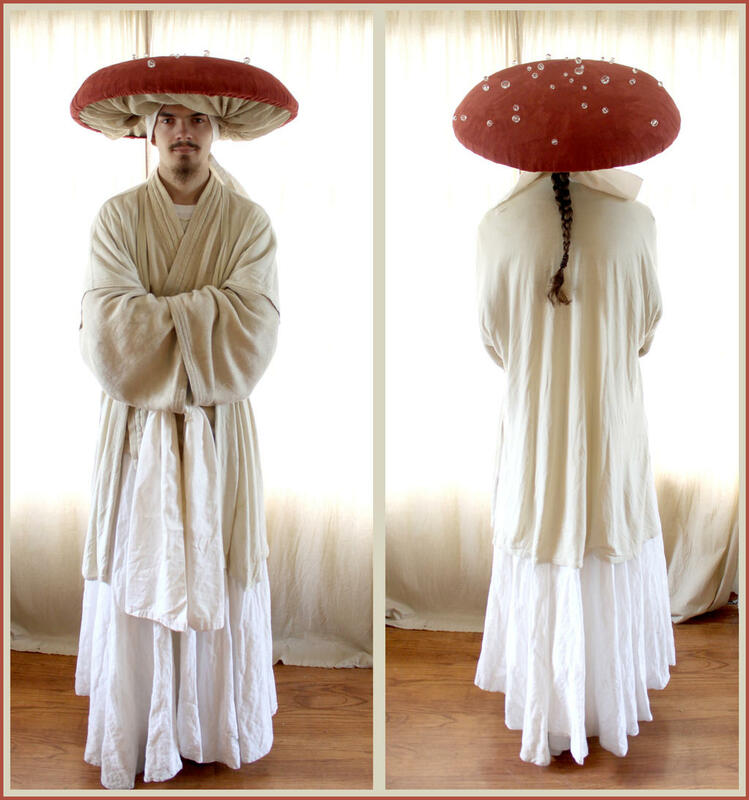 Small (36" - 72" tall) mushrooms will stand under the main structure and around it. These will also have lighting inside them and serve as tables. 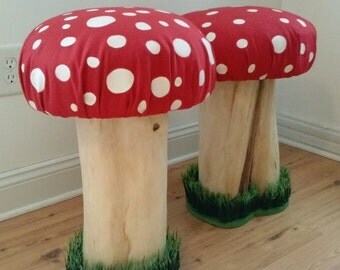 Smaller mushroom stools surround the tables. The center of the stalk will be constructed from steel truss/box beam - we will use a high safety factor when determining the load it can carry. The amount of motion will be subtle, and only the lightweight panels making up the top part of the mushroom's cap will be able to move. There will also be a large footing in place to keep the entire structure from tilting - the central steel box beam will be supported by eight steel legs that meet the outside of the stalk at the ground and support the four cantilevered beams which help support the roof. This gives the structure a very wide foot and each of those legs can be tied or staked down. During the engineering phase we may decide to add another four horizontal beams, or widen the central box beam. This will be determined in engineering review. Depending on the amount of funding we are able to secure to create this project, we may make some design changes to accommodate a smaller budget. These changes may include redesigning the project on a smaller scale, using a simpler materials list, or using very basic lighting and diffusion.